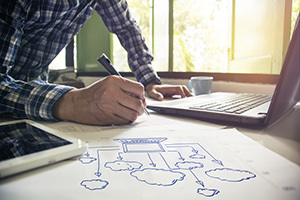 Fifty-nine percent of IT and network managers in a recent survey look to the cloud to support e-mail at their institution, and 41 percent for data file storage. The survey, by Extreme Networks, polled 633 IT and network managers around the globe; the majority of respondents work in small IT departments at K–12 or higher education institutions supporting about 5,000 users. 70 percent of respondents expect their network size to increase and 65 percent expect to support a growing number of users, while only 41 percent think their IT budget will go up and 32 percent expect an increase in IT staff. An infographic on the survey findings can be found on the Extreme Networks site.